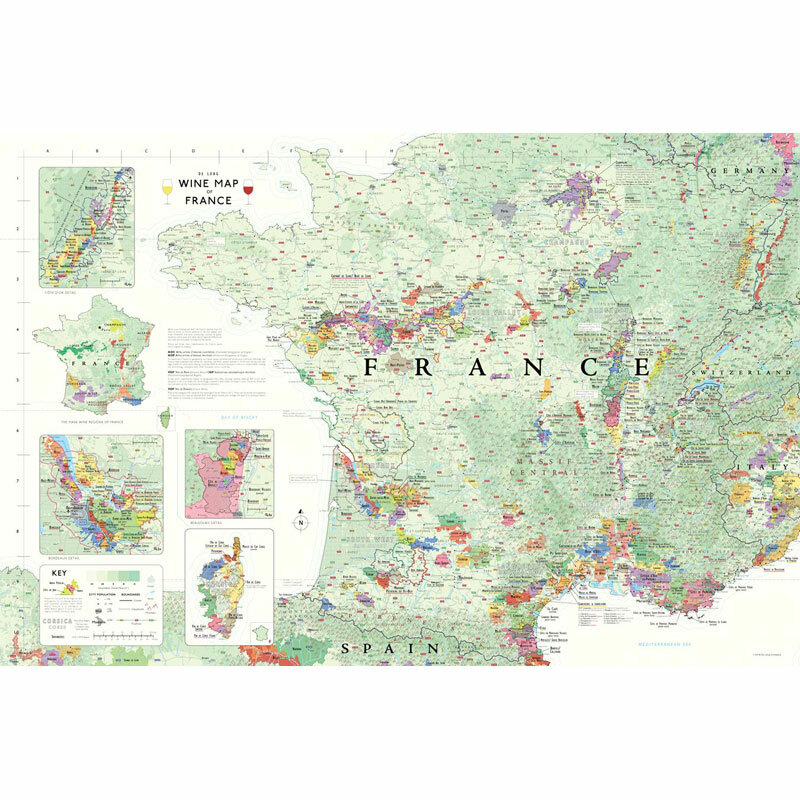 A detailed, technically accurate Wine Map of France including all 11 regions, with a detailed look at Bordeaux, Côte d’Or and Beaujolais. 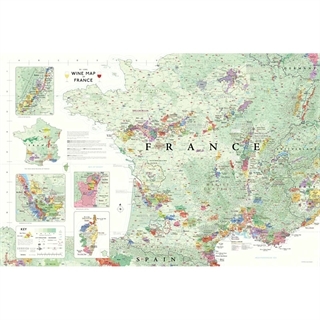 This World-famous wine producing country is hugely popular amongst wine drinkers, this map will enhance your knowledge and will take pride and place in your wine room/cellar! In Context - includes adjacent regions in Germany, Switzerland, Italy and Spain. 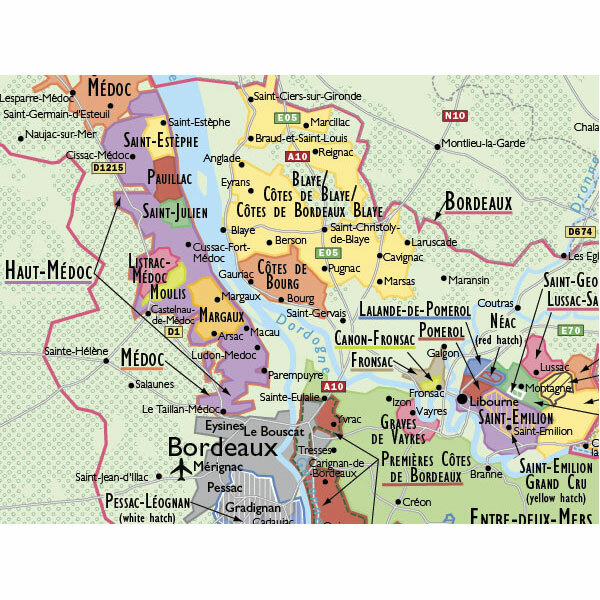 Detailed - includes detail maps of Bordeaux, Côte d’Or and Beaujolais. 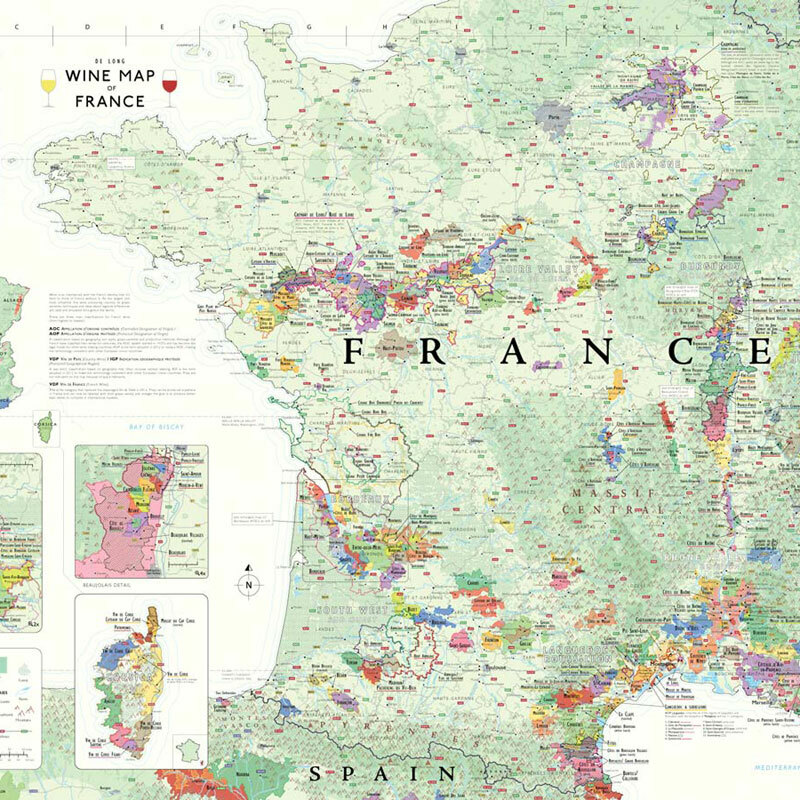 The France wine map is also available in a metro style. handsome looking map. Much higher quality finish and paper than I expected. Wish I'd bought more now. Had previously purchased the Italy map so tried France this time. The map was even better than it looked on screen and loved the mini picture with the regions. 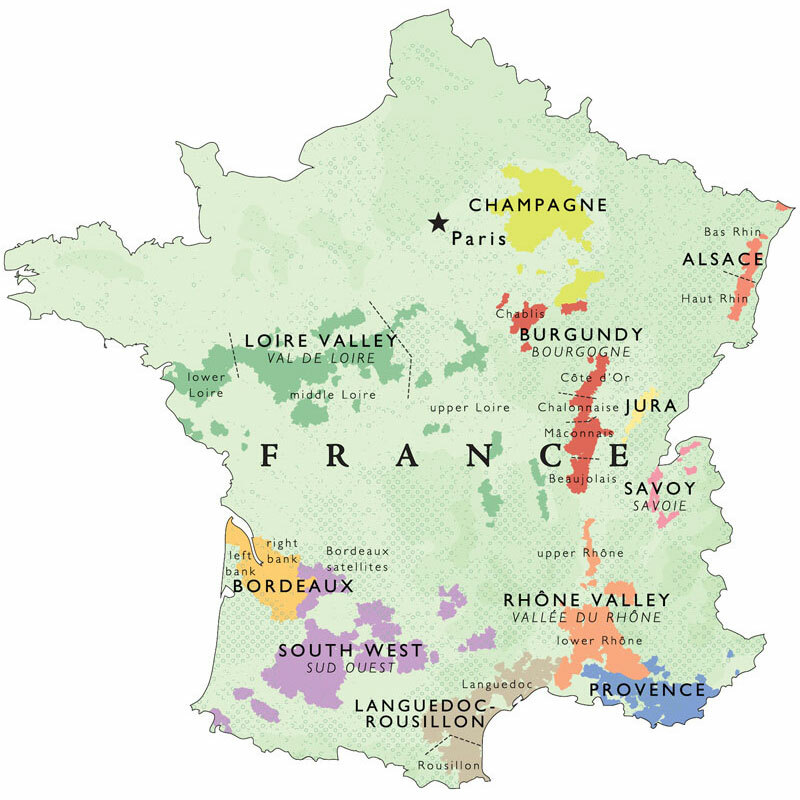 The best wine map of France Ive come across- perfect for teaching and seeing the proximity of different wine regions to each other. Most books and maps look only at individual regions. Ideal for the French Wine Scholar programme.